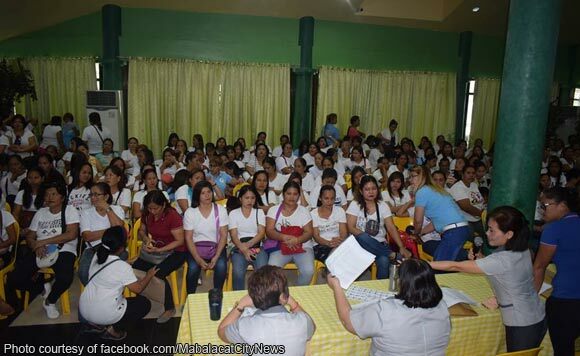 A women’s group in Mabalacat City, Pampanga was awarded a P2 million-worth of livelihood assistance by the local government, the city information office said Monday. Mayor Cris Garbo led the distribution of the financial aid to some 400 members of the KALIPI (Kalipunan ng LIping Pilipina) MCAEW. The beneficiaries included members who underwent a Business Management Training in November last year from the city social welfare office. Each got P5,000, sourced from the city social welfare office. The MCAEW is headed by Ruth Baldoz delos Reyes. Photos of the event were shared by the city information office on its Facebook page, including some showing Garbo speaking on stage and handing out the financial aid in envelopes.